This is Megan's class walking to gym. This street is right outside our house. 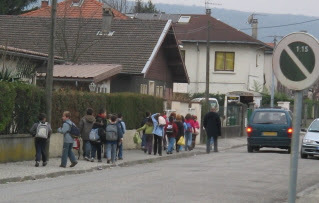 The kids walk about 10 min each way to gym two days per week.